The bakery industry is made up of almost 3,000 independent and 6,000 retail bakeries that bring in over $3 billion annually. With 50 of the largest companies generating 75% of revenue, there is still money to be made by the small- and medium-size bakery business owners. One of the challenges in this situation is that bakery businesses require substantial working capital for property, equipment and wages. Getting financing for these types of businesses used to be easy through banks, credit unions and other funding sources—today that isn’t the case. With Silver Rock Funding, our network of lenders offer bakeries the capital you need--fast--even if you have bad credit. Bakeries could get approved for between $5,000 and $500,000 within 24 hours and could have money deposited within 72 hours. Our funding managers will help you get cash for industrial sized kitchen appliances, food packaging, cooling racks, baking dishes, whatever it is you need. The process is easy and fast. One of the most popular ways to get this financing is through a merchant cash advance. This process allows your bakery business the chance to pay back the loan through your daily credit card receipts over a term. Your dedicated funding manager will work with you to explain all of the options your business has for funding. Additionally, the rates on terms of loans will differ depending on your needs and your personal financial situation. The length of the payback will also differ, but traditional payback terms are usually under a year. For most small business loans, you will need at least 6 months of bank statements, 3 months of merchant processing statements and potentially some other materials. With a small business loan through Silver Rock Funding, you could get the cash you need for your business and be on the road to financial growth. From the beginning of the process, a funding manager will be dedicated to you and your bakery. This personalized experience will give you the opportunity to work with a trained specialist who can answer any questions about the process. Your funding manager is interested in helping your business grow and becoming a resource you and your bakery can use for years to come. Get started on a small business loan today through Silver Rock Funding. 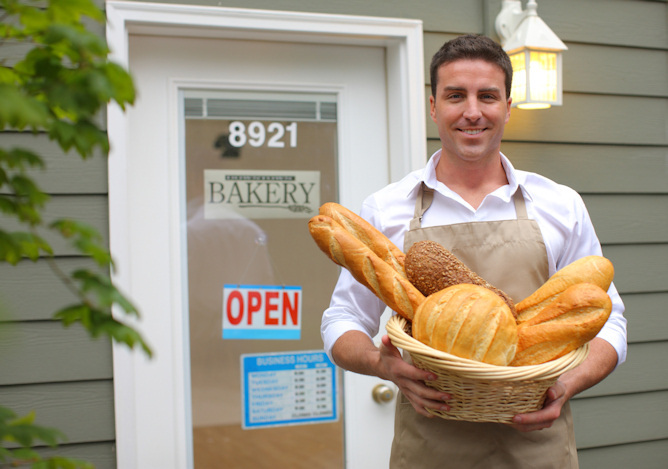 Silver Rock Funding is dedicated to bakery business loans and recently published an article on this exact industry and detailing how these business can thrive in the current marketplace.